Enter your E-mail. Access to the video and an invitation to our community will be sent to it. You can download or view a demo chapter online, and also go directly to our store page and purchase full access. The demo chapter is a demonstration of the quality of our content and helps to deal with key positions and questions about the project. We are constantly improving our content and will be happy if you want to contact us: support@elementedition.com. Thank you for registration demo family. Now you can watch demo chapter. Demo chapter will help you decide on the purchase of full access to the Element Edition project. This demo access contains the first video from Chapter 1 and will demonstrate the quality and approach to the preparation of educational resources. With it, you can learn everything about this project, its next chapters, and also gain a lot of new knowledge. Every part of the Element Edition project is carefully designed and thought out. It is important for us to be sure that when you purchase or view the full course you feel comfortable and have fun learning new things. We work every day to improve content, its structure and design. Chapter 1 is an excellent opportunity to plunge into the world of CG and learn basic things about computer graphics. The first, introductory chapter will cover how Mark works in CG, what he uses and what he finds to be important. Become a part of our Digital family today. [2:26-3:50] – Philosophy of thinking. [3:50-5:19] – About the project’s creation. [5:19-7:09] – Knowing the right path. [7:09-12:22] – About the project in depth. [12:22-15:29] – The most useful things on our site. [15:29-19:51] – Why this is an offline course and its specifics. [19:51-21:04] – What is this chapter about. [21:04-23:00] – What you need to buy for working. [23:00-32:31] – Computer and monitor requirements. [32:31-34:55] – How to run a test of your computer. [34:55-37:12] – About hard disks. [37:12-39:36] – Who are concept artists. [39:36-41:32] – What concept artists do. [41:32-42:46] – Thinking the right way. [42:46-47:33] – Work stages in the movie industry. [47:33-48:03] – Small advice for the future. [48:03-51:30] – How to solve a task at work. [51:30-52:10] – Differences of working in the game and movie industries. [52:10-52:45] – Quality or speed? [52:45-55:57] – Where and how to gain knowledge. [55:57-57:26] – Difference between concept art and illustration. [57:26-59:19] – Apps are just tools. [59:19-1:01:11] – The best advice in the world. [1:01:11-1:02:42] – How movies are made. [1:02:42-1:03:40] – The importance of your thoughts. [1:07:11-1:08:12] – An important conclusion. Доступно только для участников проекта. Перейдите в наш магазин и посл приобретения полного доступа вы получите все бонусный видео, файлы, проекты и тайм-коды. After gaining access, you will never be left alone against a problem or questions. We are ready to answer all your questions and solve your problems - 24 hours a day and 7 days a week. Problems with the project? Don’t know how to install something? Plugins don’t work? Looking for references or step-by-step pipelines? We have everything you could imagine. Mark always checks all new messages in the chat so that no one is left without answers! Make your best choice in learning and change your whole life! 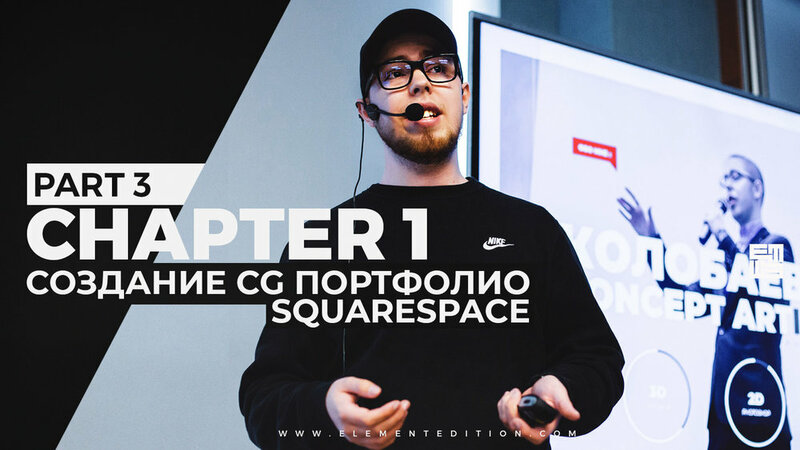 Part 1 – We begin the course with the first, introductory chapter where you will learn everything about Element Edition and my views on working in CG. Are you ready! Part 2.1 – this is a complementary chapter about working with clients, sending invoices and getting paid for your work. It also has important tips on working in our industry! Part 4 – We are continuing the topic of creating your own portfolio site, but on a different platform this time. You will have a finished site by the end of this video. 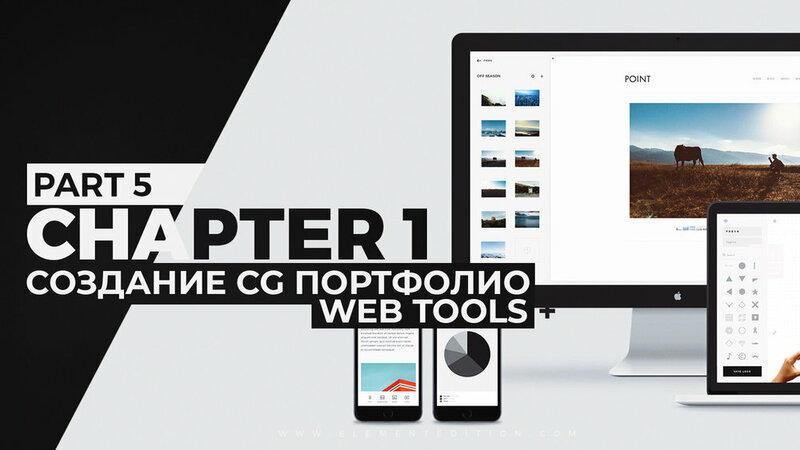 Part 5 – If you think that you know everything about creating sites – here you will find even more designer solutions for your portfolio. Best of the best. Bonus – Today I give all I have to my every undertaking and reach any goals with confidence! But it hasn’t always been like this – how did I start and what did I change? Homework – I won’t just say “Do this and that for me!”. 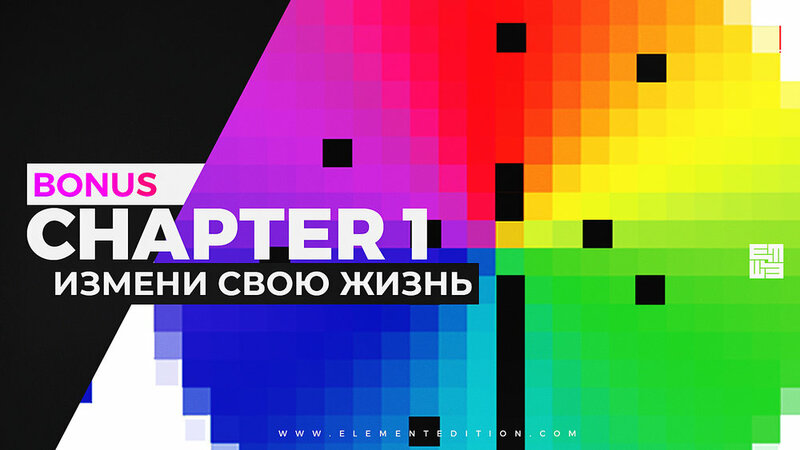 Homeworks at the Element Edition project are proper chapters with an interesting subject.